The “Star Wars Rebels” animated series, set five years before the events of “Star Wars: Episode IV A New Hope,” tells the story of the Rebellion’s beginnings. 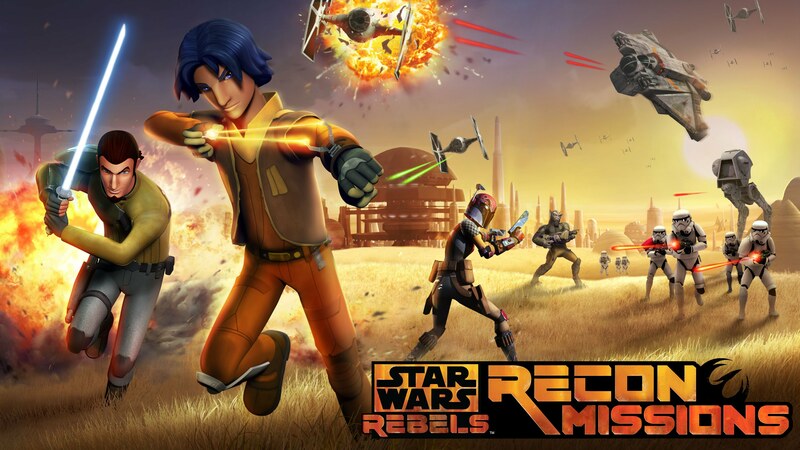 The animated series broadcasts on Disney XD every Monday night, and has been an excellent filler while we wait for J. J. Abrams to finish up “The Force Unleashed.” True Star Wars fans now have a new iOS game to play based on the Disney XD series, Star Wars Rebels: Recon Missions. In the new iOS game, you take control of character Ezra Bridger. 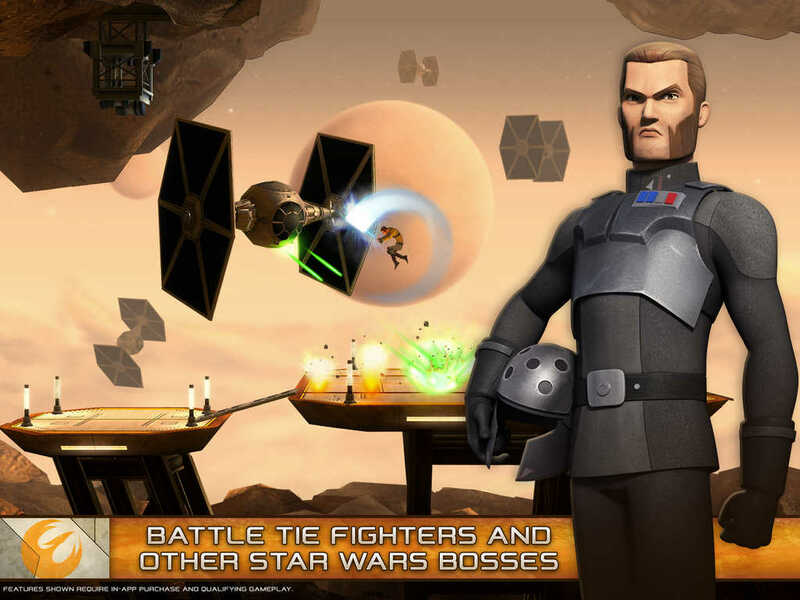 You get to team up with other familiar characters from the TV show and blast your way to success against the Empire in 35 levels. Along the way, you get to use a blaster and cool Star Wars vehicles. Battle the empire as Ezra Bridger, lightsaber-wielding cowboy Jedi Kanan Jarrus, and explosives artist Sabine Wren. 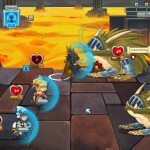 Collect and manage Phoenix Emblems and other resources to raise “Hope” to get power-up boosts. Build and customize your own Rebel Haven with homes, towers, and generators, along with a Droid factory and more. The gameplay is fast and furious, and the world is life-like with stunning graphics, enhanced shading, and dynamic visual effects through Metal support, which gives players a fantastic and unique Star Wars Rebels experience. 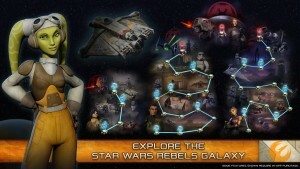 Star Wars Rebels: Recon Missions is available for free on the App Store, but does include in-app purchases. 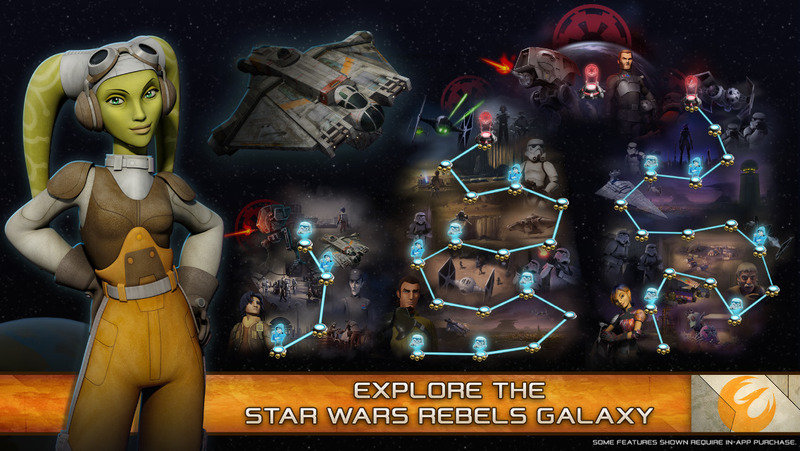 For free, you get to play four levels as Ezra Bridger, but you will have to purchase content packs to unlock the additional stages of the game. See below for a trailer for the game. 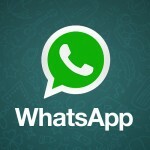 If you cannot view the video, just click here.